Thanks to everyone who came to our stall at the Ruskin Park Fete. 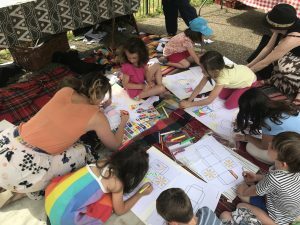 The Fete was heaving – there were more people there than I have ever known and most of the younger ones seemed to be headed to our stall to enter our colouring competition. The challenge was to brighten up our stall by colouring our ‘logo cube’. The prize was a (small) solar powered windmill. 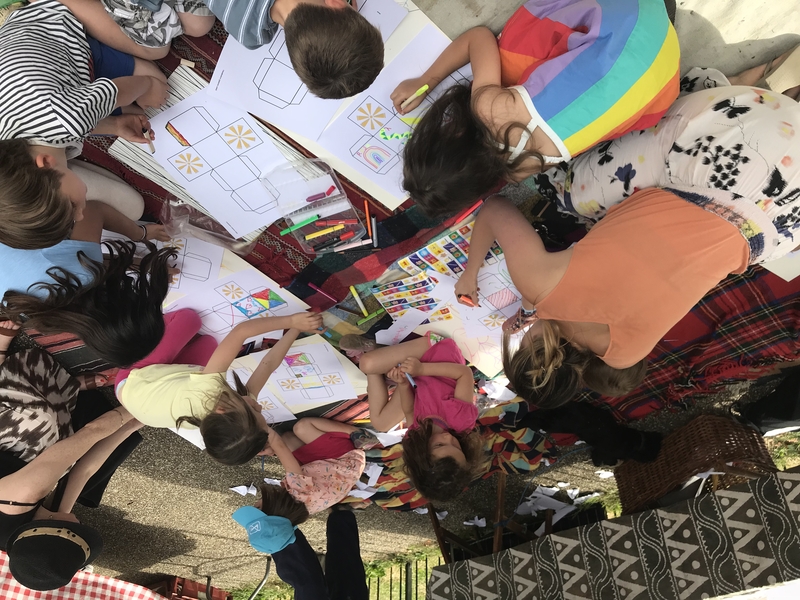 We had sixty entries – which was way more than we had expected so as our young artists drew, we SE24 volunteers were also kept busy all afternoon, cutting out, gluing, assembling and hanging the wonderful artworks. And the final effect was just what we wanted: the roof of our of stall alive with colourful, sunny creations. Thank you so much to all you young artists. We were so impressed with how carefully you worked, and your brilliant ideas for how to make a cube look bright and symbolic. There were so many good cubes that we found it hard to select just one winner so in end we chose two. Ruben’s ‘electricity dragon’ running all around the four blank faces of the cube was such a clever idea and so well drawn. See if you can spot yours in this video below.